Randy Goodman has been appointed Chairman & Chief Executive Officer of Sony Music Nashville, effective immediately under Sony Music CEO Doug Morris. 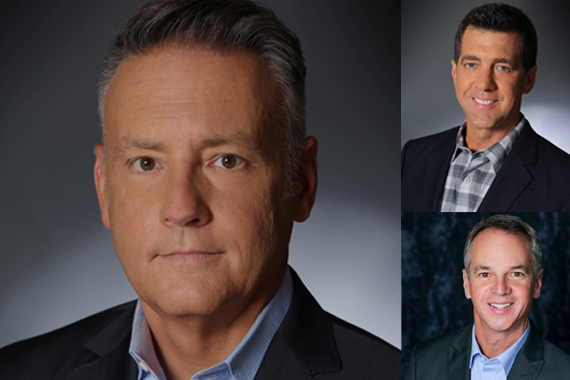 Goodman has appointed Ken Robold as Executive Vice President & Chief Operating Officer and Steve Hodges as Executive Vice President, Promotion & Artist Development. Robold and Hodges begin their new roles effective July 13. Goodman replaces Gary Overton in the Nashville leadership role, responsible for overseeing all of Sony Music Nashville operations, including Arista Nashville, Columbia Nashville, RCA Nashville, as well as Provident Music Group. Hodges comes to Sony with a background that includes a dozen years in radio and programming and more than 20 years in promotion with Capitol Records Nashville, dating back to the third album of superstar Garth Brooks and the career launches of such artists as Trace Adkins and Deana Carter. Beginning as a regional, Hodges advanced to Senior Vice President, Promotion in 2009, with Capitol earning “Label of the Year” honors throughout his six-year tenure, which also saw the 2010 launch of Capitol imprint EMI Records Nashville. Hodges worked from day one of the Capitol/EMI careers of such chart-topping, platinum-selling artists as Dierks Bentley, Luke Bryan, Eric Church, Lady Antebellum, Little Big Town, Darius Rucker, and Keith Urban. Robold most recently served as President of Zac Brown’s Southern Ground Artists, where he oversaw the operation’s record label, publishing, and studio divisions. The role followed nearly 22 years with PolyGram Records/Universal Music Group, where he rose to the post of Executive Vice President and General Manager of Universal Music Group Nashville. Among his many accomplishments, Robold is a past Chairman of the ACM Board of Directors. Goodman trained under revered former Sony Nashville leader Joe Galante for 16 years in the Nashville and New York offices, when both were at RCA, the forerunner of what is now Sony Music Nashville. Goodman’s final role was Executive Vice President/General Manager of RCA Nashville, working with such superstars as Waylon Jennings, Alabama, Dave Matthews Band, Martina McBride, Clint Black, Keith Whitley, and The Judds. In 1997, Goodman opened Lyric Street Records for the Walt Disney Co., overseeing the label as President through 2010 and enjoying multi-platinum success with Rascal Flatts and SHeDAISY, as well as platinum-sellers Aaron Tippin and American Idol finalist Josh Gracin. A CMA board member and past President and Chairman of the board, Goodman has co-chaired the Music City Music Council with Nashville Mayor Karl Dean since 2011 and is a board member of the Country Music Hall of Fame and Museum. In addition, he has served in a wide range of industry consulting roles, as well as serving as an artist manager with Maverick in Nashville. According to MusicRow’s most recent records, Sony Music Nashville is home to: Arista Nashville (Kix Brooks, Cam, The Henningsens, Logan Mize, Brad Paisley, The Swon Brothers), Columbia Nashville (Tyler Farr, Steven Lee Olsen, Chase Rice), RCA Nashville ( Josh Dorr, Sara Evans, Miranda Lambert, Old Dominion, Jake Owen, Pistol Annies, Dee Jay Silver, Chris Young), and has partnerships with 19 Recordings (Carrie Underwood, Casey James), Sea Gayle Records (Jerrod Niemann), Blue Chair Records (Kenny Chesney), Pearl Records (Garth Brooks) and Gwendolyn Records (Trisha Yearwood). Ben Gallaher, Go Down Moses, Ryan Griffin, Michael Tyler are also signed to Sony Music Nashville.